The World Cup Comes Here. Thanks, Brian Reich! The World Cup began yesterday in Russia. Americans are watching wistfully. For the first time since 1986, we failed to qualify for the biggest sports event on the planet. (Let’s go, Iceland!). But we’ll be there in 2026. On Wednesday, FIFA announced that — after 2022 in Qatar — the World Cup will be hosted jointly by the US, Canada and Mexico. We beat back a bid by Morocco — and ran up the score, 134 votes to 65 — thanks in part to a Westport native. Brian Reich grew up here, playing goalkeeper on local travel teams and for Greens Farms Academy. A huge fan, he sat several rows away from Pele at the opening match of the 1999 Women’s World Cup. He and his wife Karen Dahl — a former standout player at Danbury High School — took their 2 soccer-playing kids to the Women’s World Cup final in Vancouver in 2015. Brian blogged every day about the 2014 World Cup. He loves the game’s simplicity, beauty and accessibility — and the excitement that comes every 4 years, when the entire globe stops for a month, to share the sport. But for years, he made his living in politics. He worked as a speechwriter in the Clinton White House, and served as Vice President Al Gore’s briefing director. He formed a digital strategy company that consulted on political campaigns around the country, then branched out to areas like global branding, media, startups and non-profits. Brian wrote for the New York Times, Fast Company, Fortune, Tech Crunch, Vice, Wired and AdAge, and appeared on NPR and Fox News. Yet the pull of soccer remained strong. Brian analyzed and developed data to push groups like US Soccer and Major League Soccer to think differently about fan engagement. His primary responsibility was writing the Bid Book. 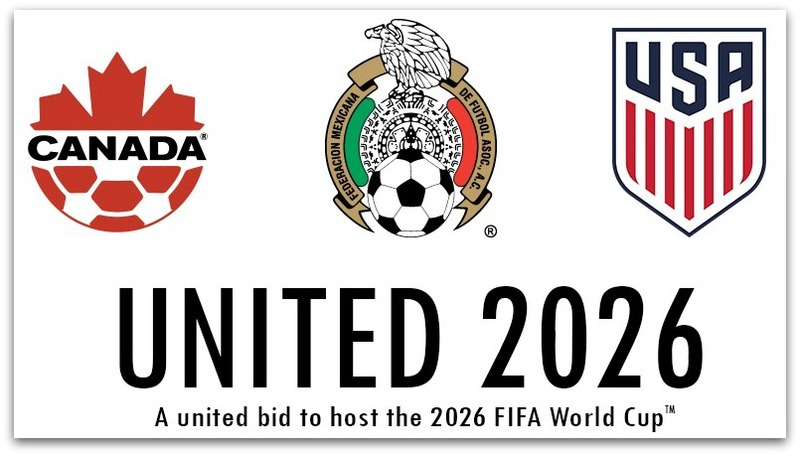 Submitted to FIFA, it laid out the vision and strategy for how the 3 North American countries would host the 2026 World Cup. He also helped shape the message and media strategy, and worked wth all cities involved in the bid. The small team — 6 full-time staffers — communicated not only with FIFA, but 3 very different national soccer federations. Since signing on last summer, Brian says, “it’s been a sprint to the finish.” He and his colleagues hosted FIFA officials for visits, and answered countless questions. A week ago, he flew to Moscow for bid rehearsals and final preparations. On the final day he was the first person in the building, running one last set of technical checks. Six hours later, United Bid officials delivered their final argument. Brian had slept only 3 to 4 hours a night for 10 days. But he was not tired. He was careful not to be too confident. He’d been in war rooms on election nights — and was on Gore’s campaign during the long 2000 recount. Some members of his group had been part of the American bid 7 years ago, when Russia and Qatar pulled the rug out from under us. 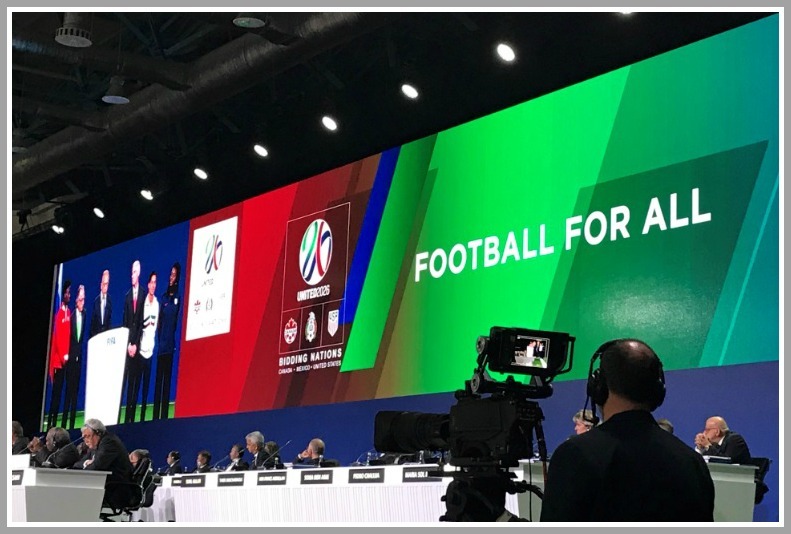 Still, FIFA’s general secretary showed a giant slide, comparing the United and Morocco bids. It was clear to all that the North American one was vastly superior. He’s already looking forward to 2026. First though, there’s the little matter of the current World Cup. The US is not playing. But like most soccer fans, Brian loves the international game. Spain could contend for the title this year, he says. France is interesting. It’s hard to bet against the Germans. Iceland could shock the world, and go deep. He has no favorite team this year. Instead, he headed to the opening match — Saudi Arabia versus host Russia — and then flew home. He’ll watch the rest of the games with his family on TV. The entire world will do the same 8 years from now. Except for those of us lucky enough to watch in person, when — thanks in part to Brian Reich — the World Cup comes to North America. 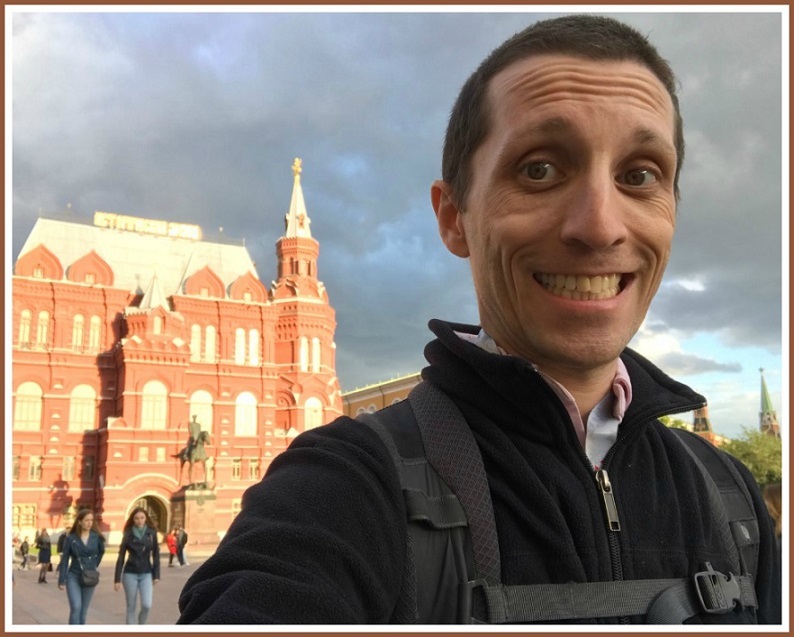 Brian Reich near Red Square. 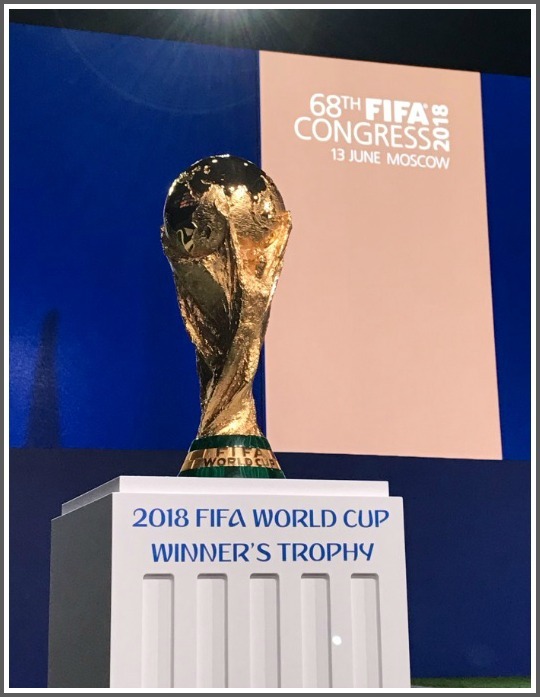 This entry was posted in Organizations, People, Sports and tagged Brian Reich, US Soccer, World Cup 2018, World Cup 2026. Bookmark the permalink. So excited to be hosting! Persistence pays off! Having the games here and the potential to see a game in person is tremendous. As a Sports Photographer, two of my favorite nights were shooting images of a US Women’s game and a US Men’s game! The drama on the field and the fun in the stands was unforgettable ! Thanks also to the POTUS who, as it turns out, got involved and lobbied behind the scenes very recently for us to host the World Cup. The last POTUS couldn’t get ‘er done when he got involved, but thankfully this one did. Doesn’t matter our political persuasion, we appreciate it (I’m a life-long Democrat). Of course, this POTUS had to answer a couple of tough questions. 2) Given some new restrictive policies regarding visitors from certain countries, would the US guarantee that any fan who wants to can come here? And, with the final competition coming down to Morocco and the joint bid of Mexico, Canada, and the US, the joint bid was in a much better position to win regardless of who was sitting in the Oval Office. PS—Dan and I together attended the 1994 World Cup semi-final at the Rose Bowl between Brazil and Sweden. It was one of the most memorable sports experiences of my life. I’m glad younger soccer fans will get to have similar experiences not too far down the road. 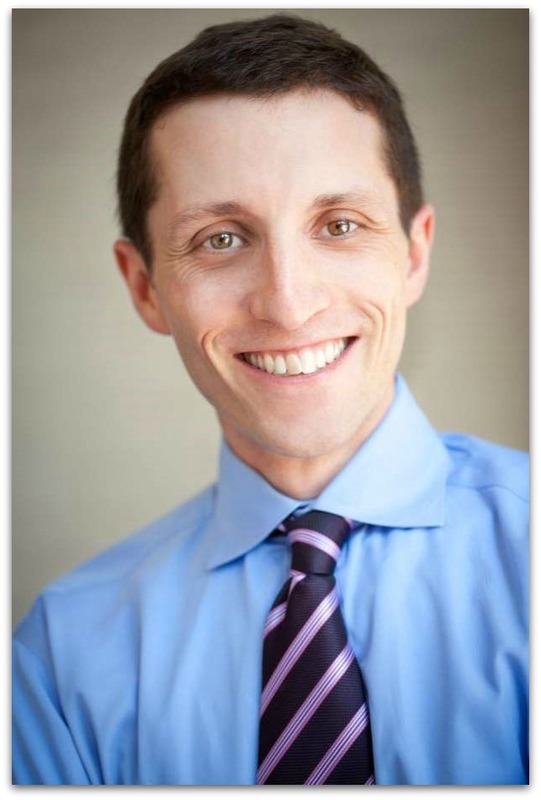 Wonderful results to our Westport’s own, Brian Reich! Brine has always shown dedication to many worthy endeavors since he was a young boy. Great story Dan thanks! Definitely thank you Brian Reich and yes…Go Iceland!